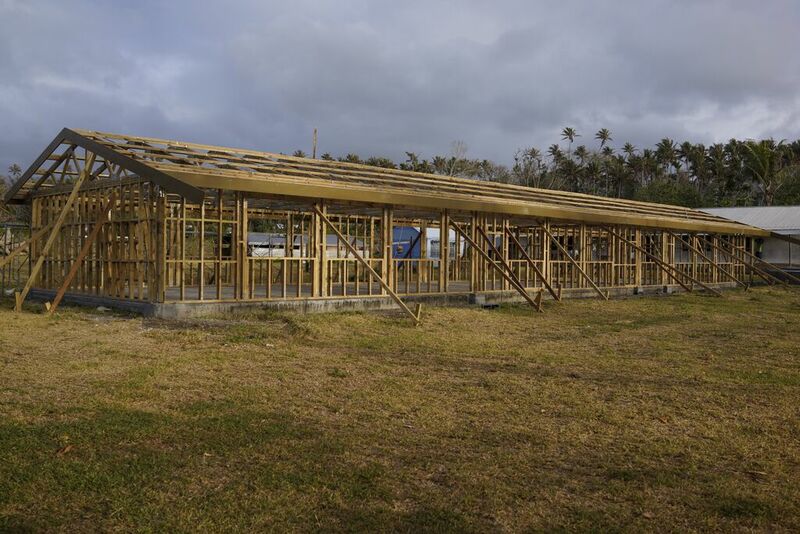 Ambrym Island in Vanuatu lost its school in Cyclone Pam. 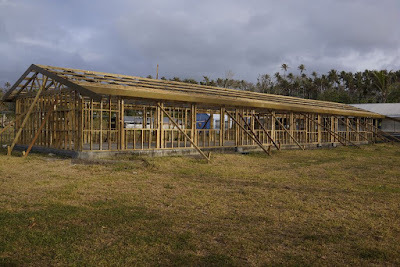 The students and teachers of Embossung Primary School have been reduced to coping with school classes for 6 to 8 year olds are under tarpaulins and bamboo framing at present. Add to that the destruction of the sanitation and water supply facilities and one starts to get some idea of the magnitude of the need, especially as the rainy season approached. In steps Rotary to help. Rotarians from Browns Bay, Nelson and Birkenhead alongside Rotarians from Australia and a few builders. As Past Governor for 9910 David Oliver put it, "It's a pretty major project being done fairly remotely and the work falls, to a large extent on a small number of people". The school will be rebuilt at a cost of $150,000 funded by Rotary clubs, the Ministry of Affairs and Trade and fundraising projects including Givealittle. The structure pictured has been closed in before the rains came and the plumbing and sanitation will be installed mid-2016. There is no electricity on the island and all water comes from the collection of rainwater.